Several early- to mid-October fronts brought in plenty of geese, puddle ducks and early divers, letting hunters enjoy unseasonably ducky weather. However, milder temperatures settled in during the middle of the month, and those ducks and geese got into stale patterns during late October and early November, providing mixed opportunities. Large fronts, northwest winds and winter-like temperature drops late this week and next should shake things up considerably. Northern and middle portions of the flyway remained wet — too wet in many cases. Flooding in fields has slowed or stalled crop harvests in some areas, as farmers must wait for the ground to dry or freeze before venturing out with heavy equipment. Kent Woodrow, owner of Illinois Whitetail and Waterfowl, in Wayne and White counties, in southeastern Illinois, said conditions there have been wet for about two weeks. Realtree.com contributor Ben Cole, of Black River Outdoors, in Newport, Arkansas, said water conditions in his area look good. With birds on the move and conditions changing rapidly, some portions of the flyway saw considerable bird movements in early November as others watched numbers deteriorate. Dersham reported good multi-species numbers on the Mississippi and other parts of southern Wisconsin. The situation was fairly similar in eastern Wisconsin, with unusually strong lesser scaup numbers on big water, mixed with some redheads, canvasbacks and mallards. Cole said some birds are filtering into Arkansas. "I haven't been seeing huge groups or anything, though," he said. After a weeklong Central Flyway sojourn, I returned home to a bustling scene, with friends providing good reports about multi-species puddle duck hunts and early diver action. My first few open-water forays went well, with excellent shooting on bluebills mixed with a few ringnecks and canvasbacks. My annual trip to the Mississippi River with Dersham was somewhat slow, despite a strong west wind and good canvasback numbers. Ultimately, we took a decent bag of buffleheads, mixed with a dandy drake ringneck and a drake bluebill, but the pool’s famed canvasbacks seemed content to loaf in open water, gorging on wild celery. Forecasters were calling for bone-chilling lows in the Upper Midwest this weekend, with some areas expecting measurable snow. And with plenty of north and northwest winds, the migration is set to hit high gear. Diving duck numbers will likely peak in many Northern states. 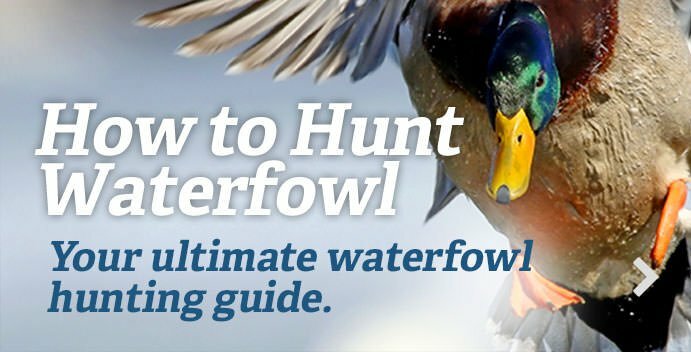 Hardy mallards, black ducks and goldeneyes will begin to appear as small waters freeze. Meanwhile, Midwestern states should see healthy pushes of gadwall, wigeon, redheads and other birds as seasons open throughout the flyway. “North and west winds are resuming this week, which should bring new birds down,” Dersham said. Meanwhile, waterfowlers will wait and anticipate the big push — hoping it doesn’t occur in a flash before winter begins to lock up many areas.